Robots have been used in a variety of applications, everything from healthcare to automation. Robots for repetitive actions exude accuracy and specificity. Robots don’t get tired, although they do require maintenance, they can be on 24x7, although stoppages in process flows can happen frequently due to a variety of external factors. It is a fallacy that robots don’t require human inputs and can literally run on their own without much human intervention. And yet, there is a fear surrounding the application of robots mostly swelled by sensational media reports and the science fiction genre. Anthropomorphic robots have also caused a great deal of concern for consumer advocate groups who take the singularity concept very seriously. Engineers in sensor development, artificial consciousness, components assemblage, visual and aesthetic artistry are encouraged to engage with colleagues from across disciplines- philosophers, sociologists and anthropologists, humanities scholars, experts in English and creative writing, journalists and communications specialists- to engage in this call. How can self driving cars make more ethical decisions? How might their be more fluent interactions between humans and robots? Formatting guidelines for IEEE Technology and Society Magazine are available here. Select the Magazine menu and go to "Information for Authors". During the submission process you will be asked to enter in your details if you are a new author to the Magazine. You will also be asked to enter the names and email address of three academics who might be able to review your article. These individuals must not be close contacts. Papers cannot go over 5,000 words, including references. A variety of paper types are acceptable including: commentaries, opinion pieces, leading edge, industry views, book reviews, peer reviewed articles etc. 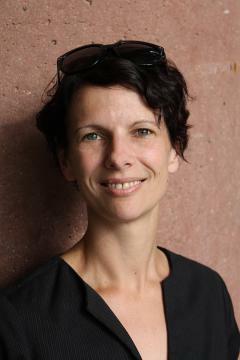 Diana M. Bowman is an Associate Professor in the Sandra Day O’Connor College of Law and the School for the Future of Innovation and Society at Arizona State University, and a visiting scholar in the Faculty of Law at KU Leuven. Diana’s research has primarily focused on the legal and policy issues associated with emerging technologies, and public health law. Diana has a BSc, a LLB and a PhD in Law from Monash University, Australia. In August 2011 she was admitted to practice as a Barrister and Solicitor of the Supreme Court of Victoria (Australia). Prof. Meg Leta (previously Ambrose) Jones is an Assistant Professor in the Communication, Culture & Technology program at Georgetown University where she researches rules and technological change with a focus on privacy, data protection, and automation in information and communication technologies. She is also an affiliate faculty member of the Science, Technology, and International Affairs program in Georgetown's School of Foreign Service, the Center for Privacy & Technology at Georgetown Law Center, and the Brussels Privacy Hub at Vrije Universiteit Brussel. Dr. Jones's research interests cover issues including comparative information and communication technology law, engineering and information ethics, critical information and data studies, robotics law and policy, and the legal history of technology. She engages with indisciplinary fields like cyberlaw, science and technology studies, and communication and information policy using comparative, interpretive, legal, and historical methods. Ctrl+Z: The Right to be Forgotten, her first book, is about the social, legal, and technical issues surrounding digital oblivion. Advised by Paul Ohm, Dr. Jones earned a Ph.D. in Technology, Media & Society from the University of Colorado, Engineering and Applied Science (ATLAS). Prior to pursuing a Ph.D., she earned a J.D. from the University of Illinois College of Law in 2008, where she focused on technology and information issues. She has held fellowships and research positions with the NSF funded eCSite project in the University of Colorado Department of Computer Science, the Silicon Flatirons Center at the University of Colorado School of Law, the Harvard Berkman Center for Internet & Society, and CableLabs. Since 2013, Dr. Jones has been teaching and researching in Washington, DC at Georgetown University. Katina Michael is a professor in the School of Computing and Information Technology at the University of Wollongong. She is the IEEE Technology and Society Magazine editor-in-chief and also serves as the senior editor of the IEEE Consumer Electronics Magazine. Since 2008 she has been a board member of the Australian Privacy Foundation, and also served as Vice-Chair. Michael researches on the socio-ethical implications of emerging technologies. She has also conducted research on the regulatory environment surrounding the tracking and monitoring of people using commercial global positioning systems (GPS) applications in the area of dementia, mental illness, parolees, and minors for which she was awarded an Australian Research Council Discovery grant.